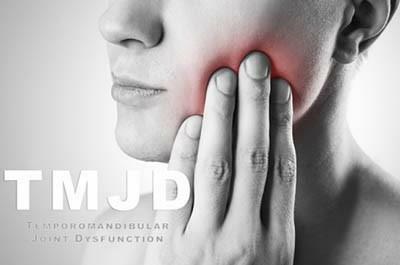 Below is a case study that outlines the successful treatment of a TMJ (The Temporomandibular Joint) jaw injury. Jan* came to see us after visiting a dentist 2 years ago for a procedure requiring her to have her mouth open for an extended period of time. Jan* reported that since having a tooth extraction her jaw was painful when chewing, yawning and talking. The opening of her jaw had become limited and she was experiencing clicking of her jaw and headaches. When Jan* opened her mouth, she felt clicking and pain on the right side of her jaw. Her symptoms were typical of an anterior disc displacement of the jaw. She was treated with gentle joint mobilisations to her jaw to stretch the joint capsule and the movement of her jaw improved. She was given a home exercise program to continue the stretching of her joint capsule and ligaments, and was provided with patient education to improve her jaw and neck posture. As well as having treatment for her jaw, Jan* also had physio treatment for her neck to reduce cervical spine stiffness, muscle tightness and headaches. After 3 months of treatment Jan* had no clicking of her jaw, she was able to yawn without pain, clicking and reintroduced chewy foods such as meat and bread into her diet. She has also made changes to her posture sitting and sleeping and is aware of when she needs to recommence her home exercise program for her jaw. Click here to find out more about how our Physios can help you with any issues or injuries that you may be experiencing.